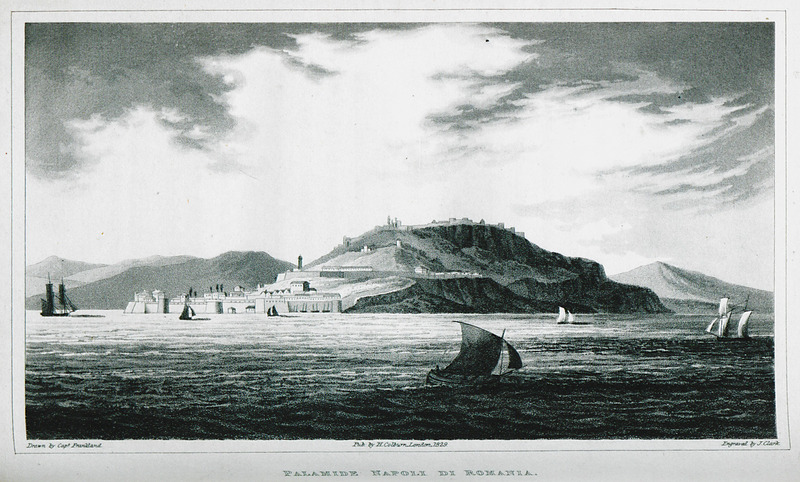 Nafplion with the acropolis of Acronauplia and the fortress of Palamidi, from the northern side of the bay. 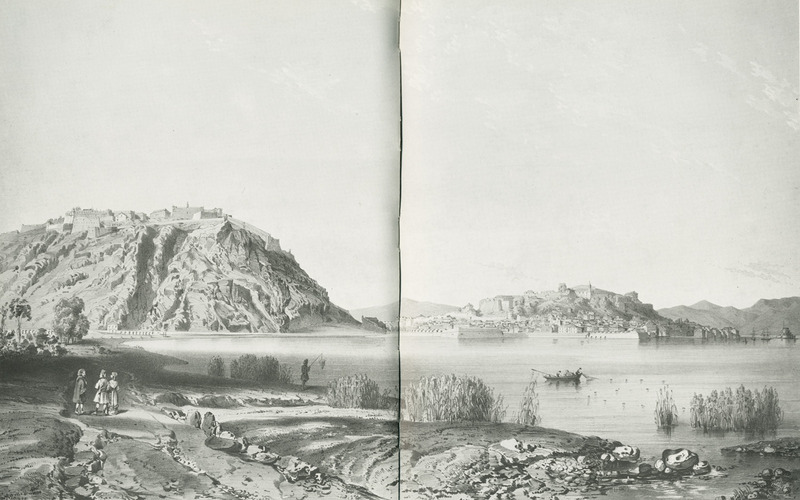 Nafplion. 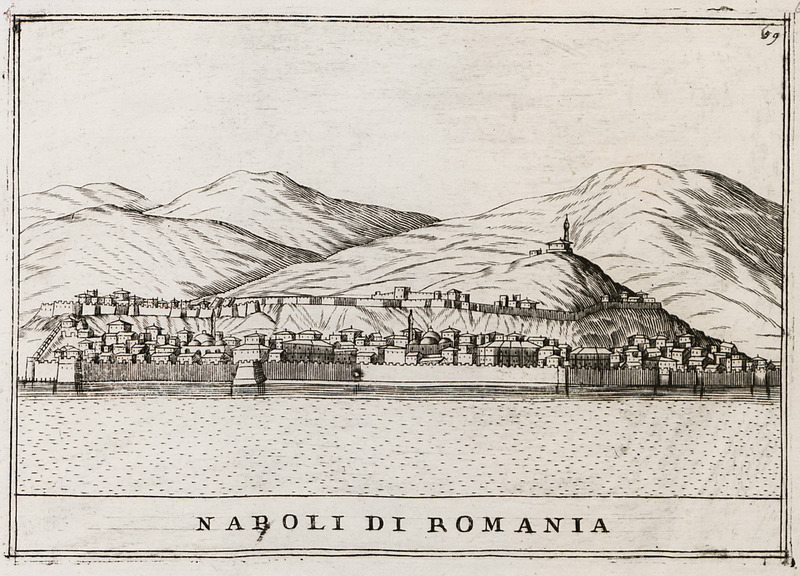 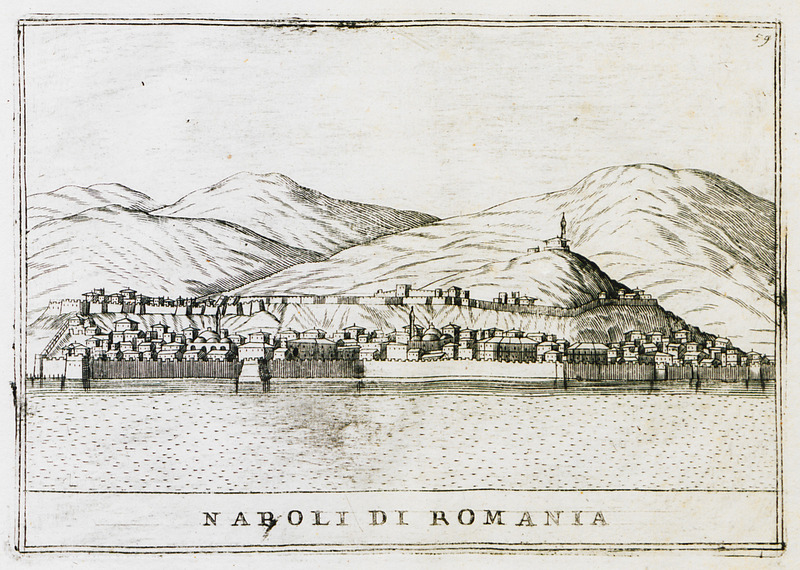 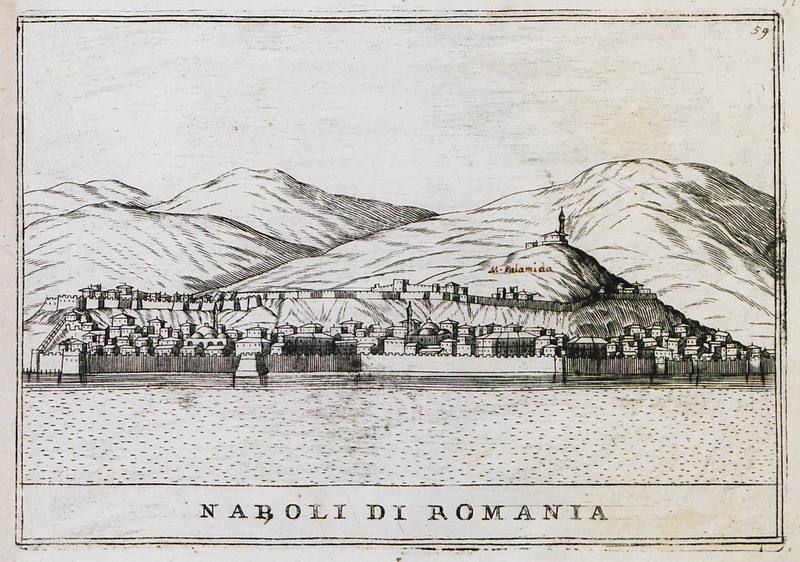 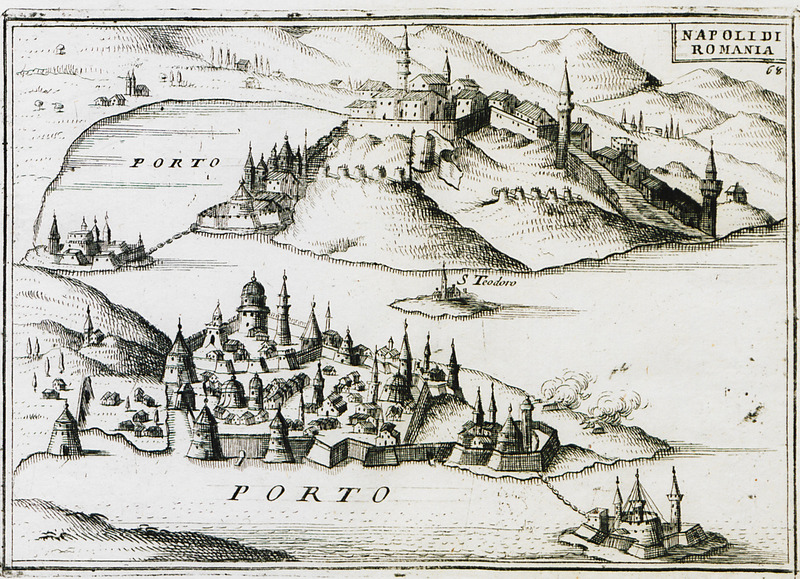 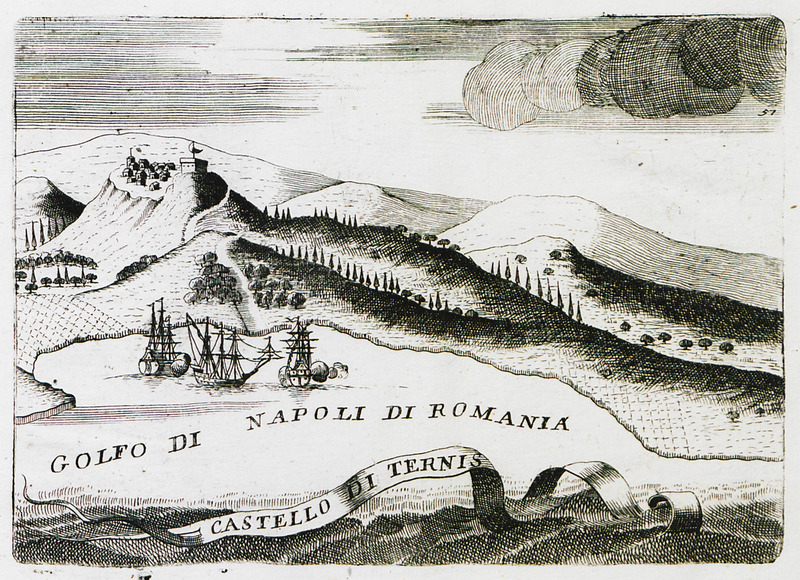 "The Palamidi fortress drawn from our rooms". 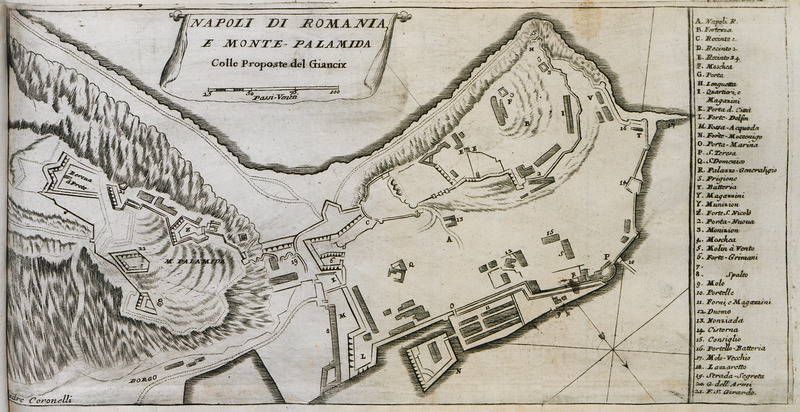 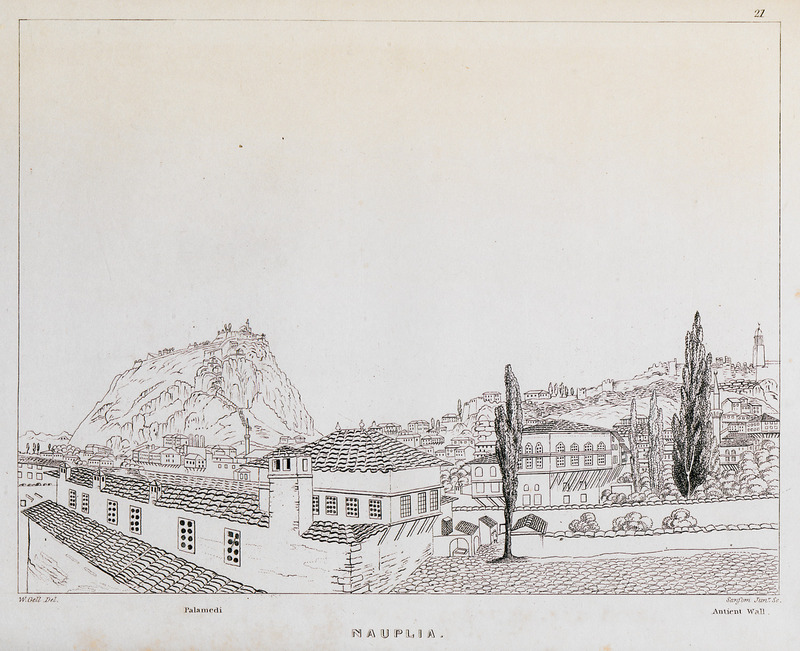 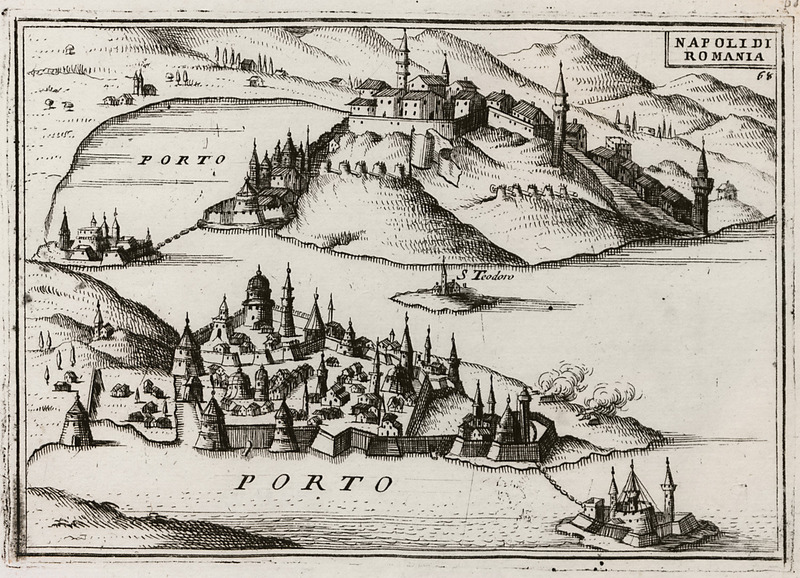 Map of Nafplio and of Palamidi fortress. 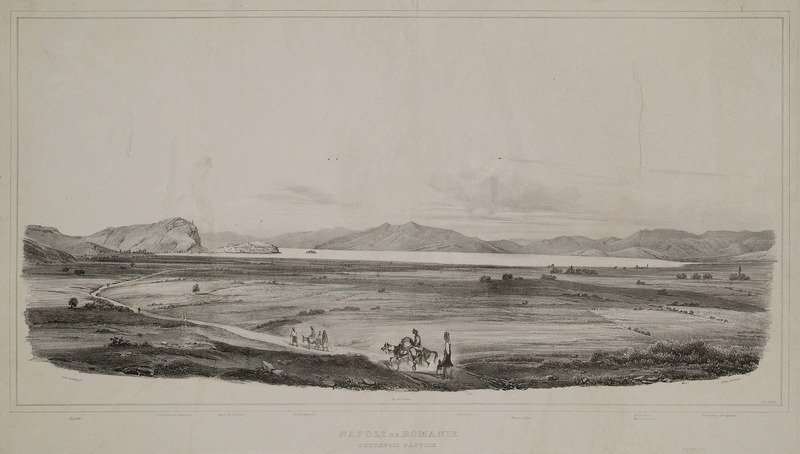 Landscape in Argolis. 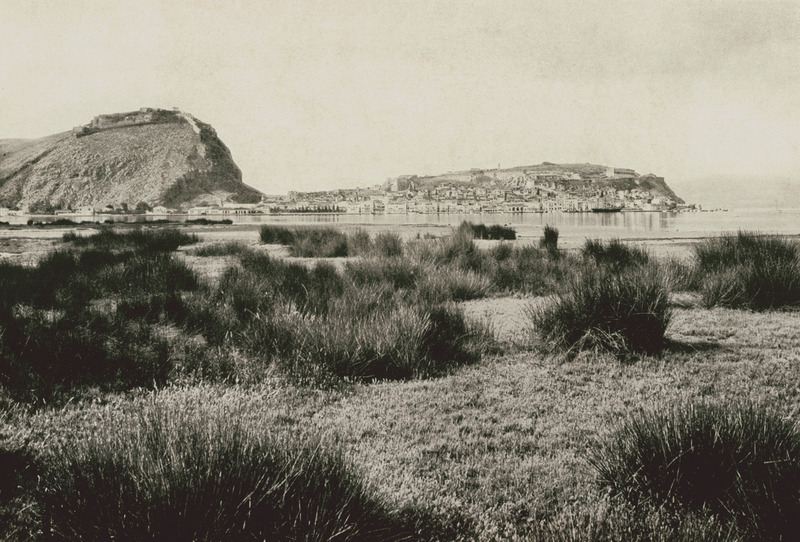 In the background the city of Nafplio. 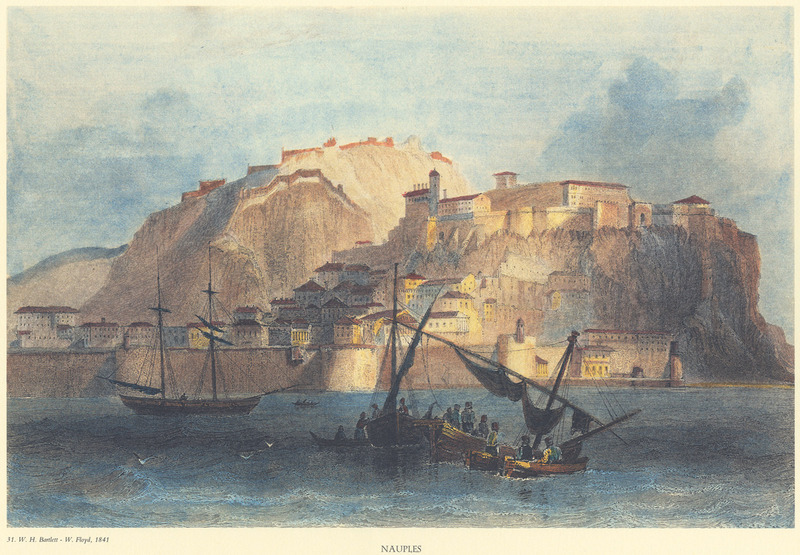 View of Acronauplia and Palamidi from Arvanitia. 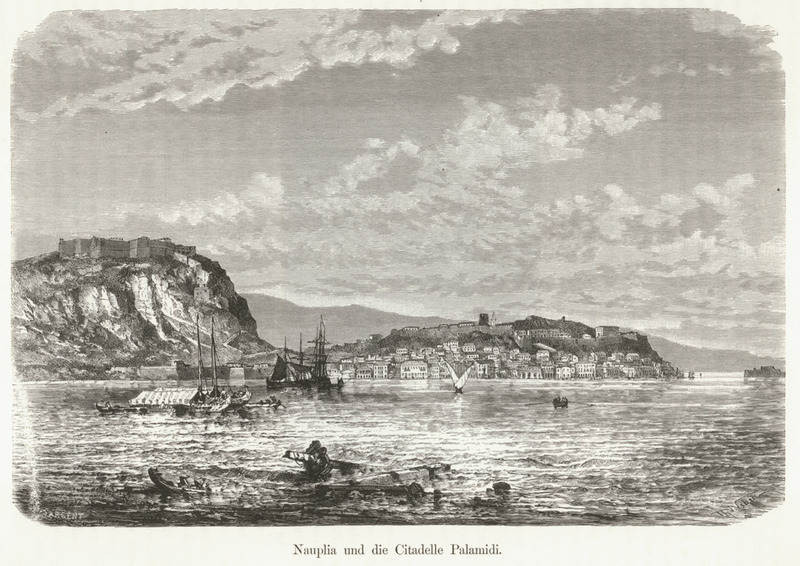 View of Nafplio. 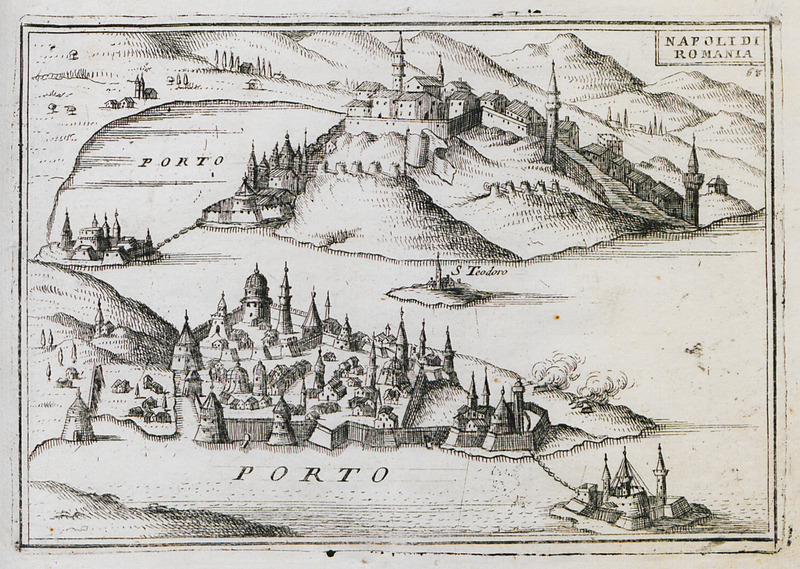 On the left Palamidi, on the right the Bourtzi. 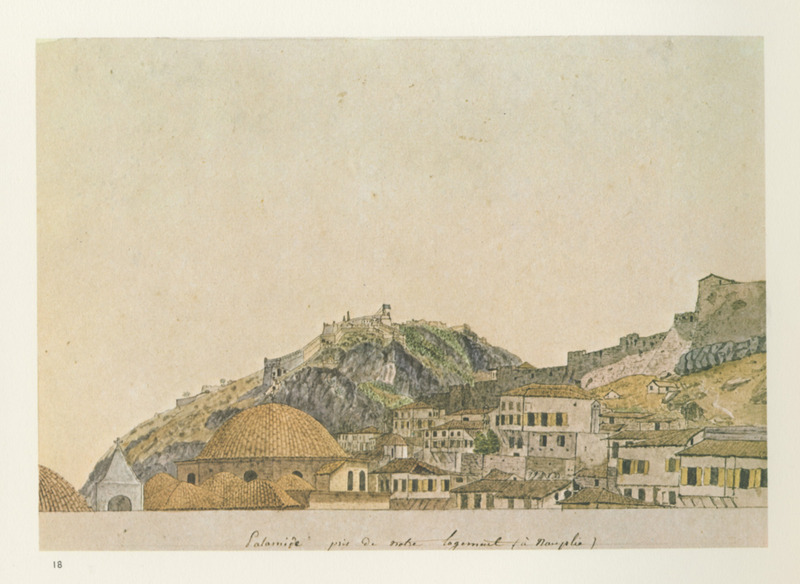 View of Nafplio. 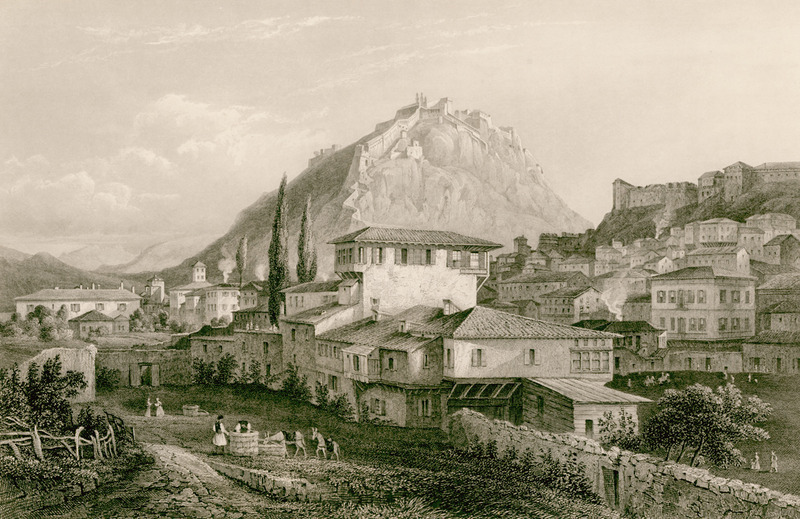 Palamidi fortress in the background, on the left. 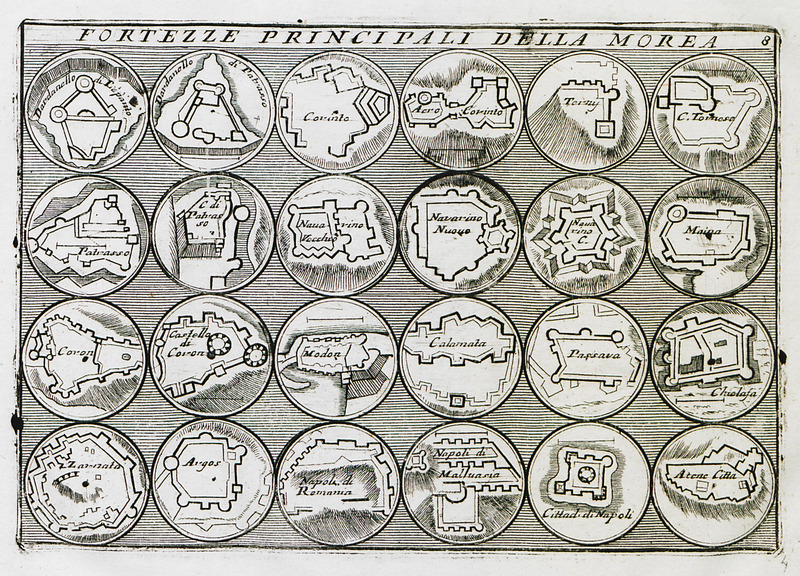 Map of the area around Ancient Corinth with floor plans of the castle of Acrocorinth, framed by floor plans of the main fortresess and castles taken by Francesco Morosini during the Sixth Ottoman-Venetian war. 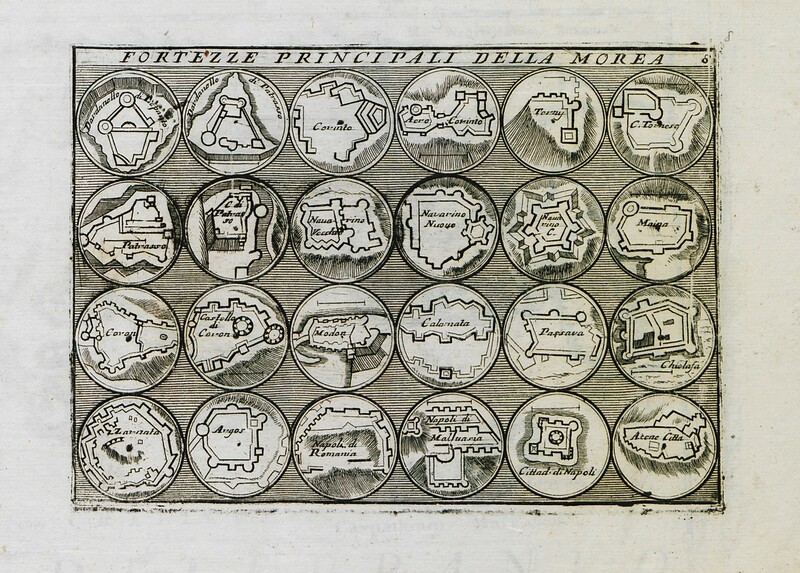 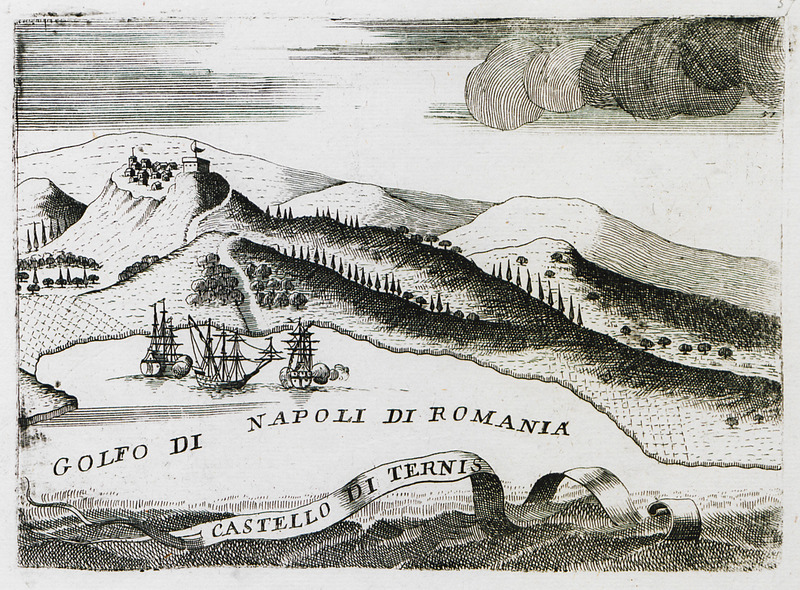 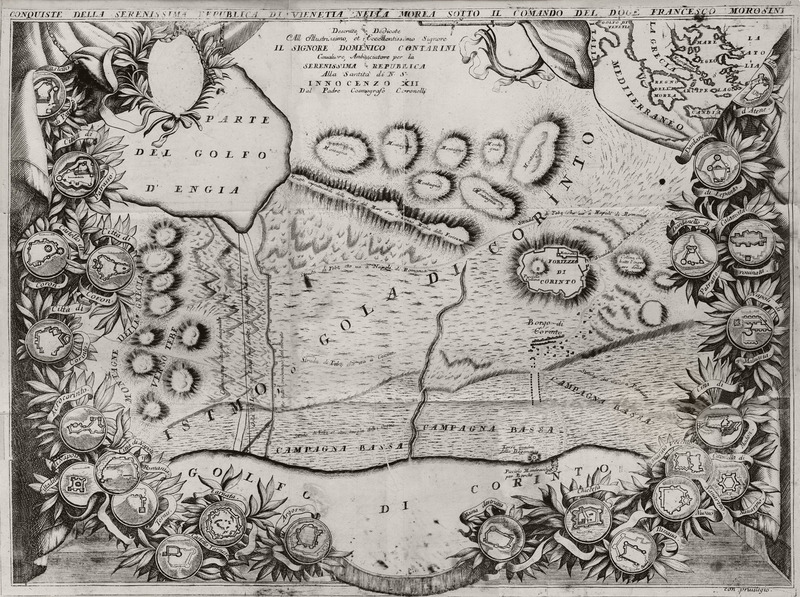 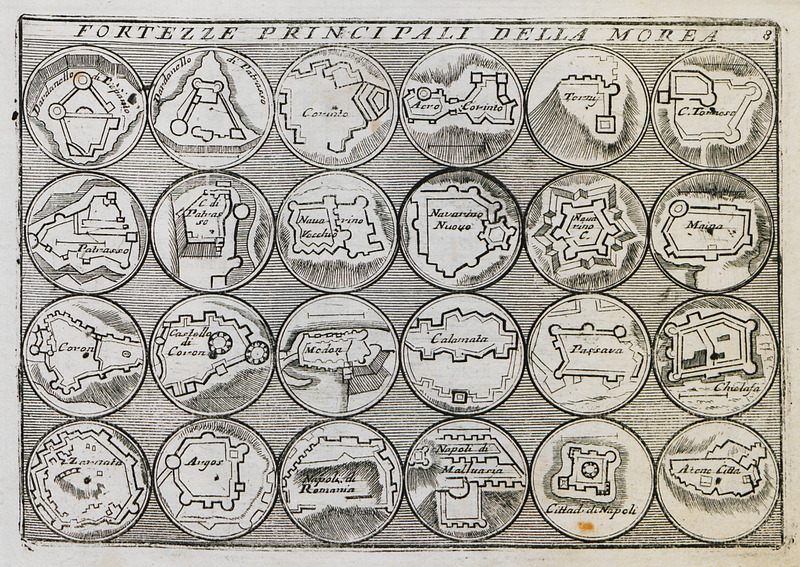 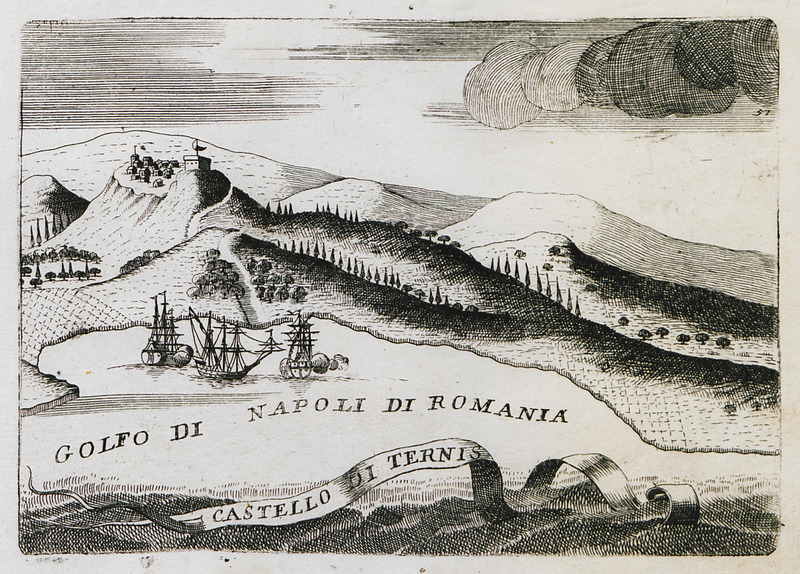 Plans of the principal castles and fortresses in the Peloponnese. 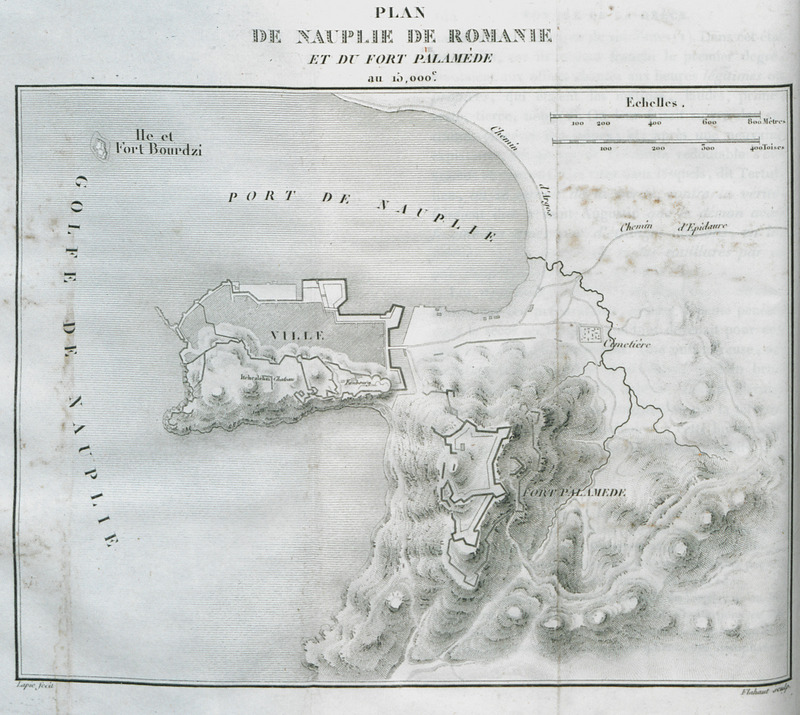 Map of Nafplion and Palamidi fortress. 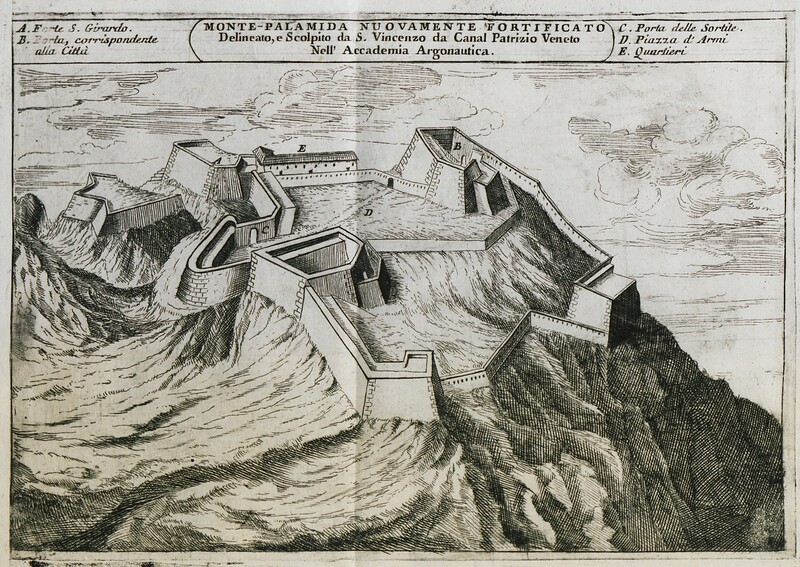 Plans of the main fortresses of the Peloponnese. 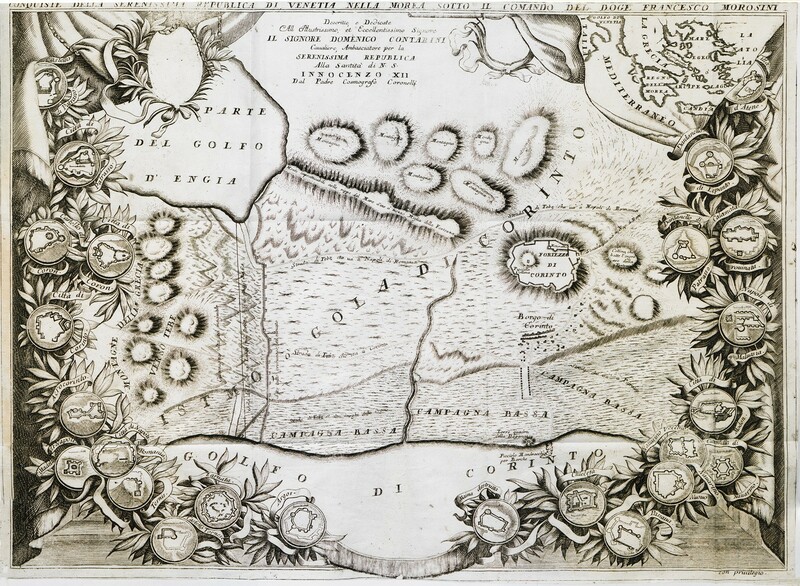 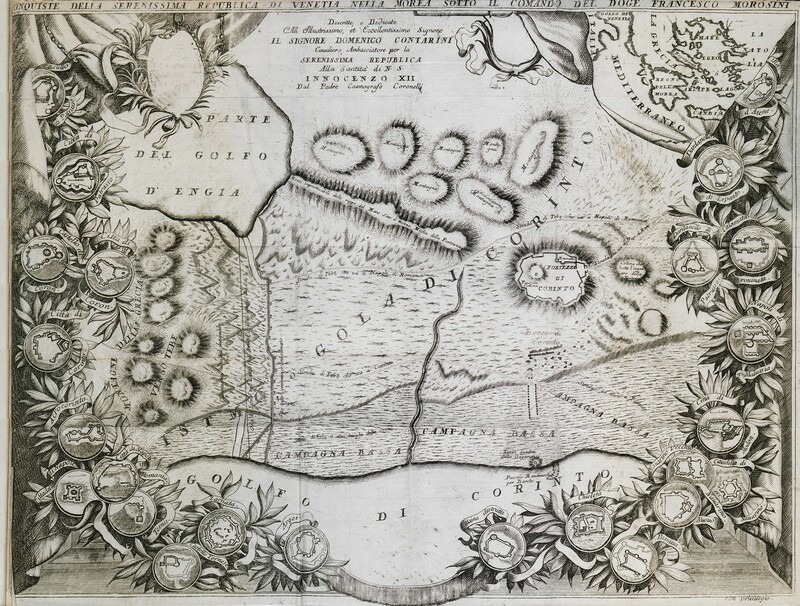 Map of the area around Ancient Corinth and plans of the castle of Acrocorinth, framed by plans of the main fortresess and castles taken by Francesco Morosini during the Sixth Ottoman-Venetian war. 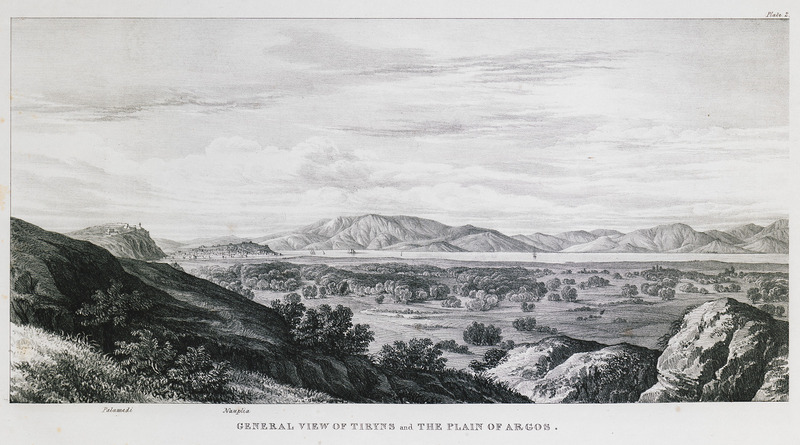 The plain of Argos seen from the ruins of Tiryns. 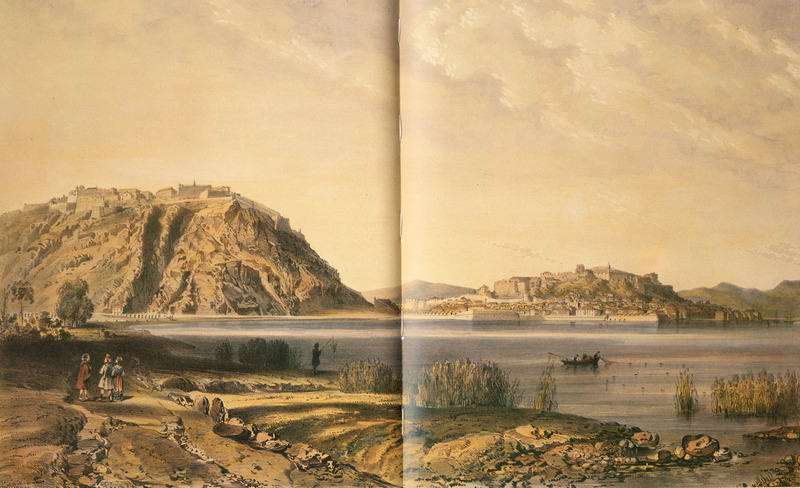 In the background, Nafplio and Bourtzi fortresses.